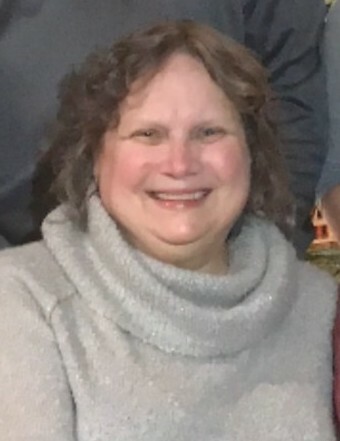 Laurie Ann Beenen (nee Jabaay), age 62, of Grand Rapids ran into the arms of her heavenly father on Thursday, October 25, 2018. She is survived by her loving husband of 41 years, Dave Beenen. Mourning her loss are her five children, Eric Beenen (Christina), Curt and Michelle Beenen, Karen and Jason Harris, Jessica and Gentry Barney, and Kristen and Sam Underhill; eleven grandchildren, Makenzie, Morgan and Connor Beenen, Samantha, Alexis and Jackson Harris, Colten, Calin and Carter Barney, Addison and Kinsley Underhill and her loyal dog Zeke. Also surviving are her brother, Robert S. Jabaay; her in-laws, Don and Lin Beenen and Sue and Steve Sikma. She was preceded in death by her parents, Stan and Catherine Jabaay and her in-laws, Ken and Mary Beenen. The family will receive friends on Sunday at the Metcalf & Jonkhoff Funeral Home from 5-7pm and from 10-11am on Monday October 29th at the Cascade Christian Church Chapel, 2829 Thornapple River Dr. SE, where funeral services will be held at 11:00 A.M. with Laurie’s pastor and friend, Rev. Jill Forton officiating. A luncheon will follow the church service. Interment will be at Snow Cemetery. For those who wish memorials may be made to the Cascade Christian Church.